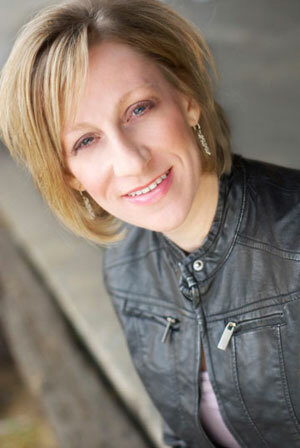 Lisa Paitz Spindler is a science fiction author, web designer, blogger, and pop culture geek. Her space opera novella, THE SPIRAL PATH, is available from Carina Press and all the usual e-book outlets. Download press quality photo (JPG, 4MB). She also contributes book reviews and TV and movie recaps to the science fiction and fantasy blog SF Signal as well as participates in the weekly podcast. Her Hero’s Journey Myth Quest graphic model has been used by Zappos Insights in their building a positive corporate culture workshop curriculum. Lisa also maintains the Danger Gal Blog hosted by her alter ego, Danger Gal, whose stiletto heels are licensed weapons and whose ninja stars travel faster than light. Lisa, however, gets through each day on caffeine and science blogs. She also enjoys pina coladas, walking in the rain, and writing about herself in the third person. The Danger Gal graphic (above and upper left corner) comes from an amazing artist/designer at istockphoto.com named Aaltazar. This web site was designed by Lisa and her complete web design portfolio can be found at her company’s web site, Amber Leaf Creative. Listen to the roundtable discussion on the Science Fiction Romance genre on Internet Voices Radio with author Ella Drake and bloggers Heather Massey from The Galaxy Express and Doug â€œSciFi Guyâ€ Knipe on December 1, 2009 during Rowena Cherry’s Crazy Tuesday podcast. Click here to listen to the podcast (MP3, 27MB). I was wondering what it would take to get a link to my site from your “Geek Fun” page? I link to your site on a regular basis in my “Media Round-Up” posts, and this afternoon, I’ll be posting a permanent link to your site in my own blogroll. I’m happy to reciprocate. CLick on over to the categories and you’ll now find The Great Geek Manual link under Geek Fun. Thanks for linking to me. Love the site! So super cool! Love the Overheard at RWA link too!